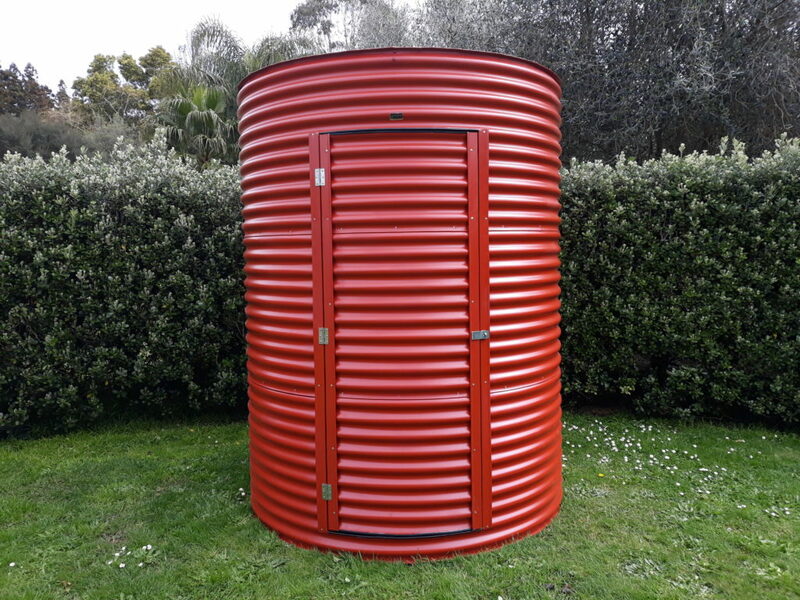 Our all-purpose Tanksalot® water tank sheds have been built tough for New Zealand conditions and environments. Available in a range of colours to match your home *(please note this tank was specially painted for our customer)*, our tank sheds are ideal for storing garden tools, kid’s bikes, outdoor summer toys, and other items. 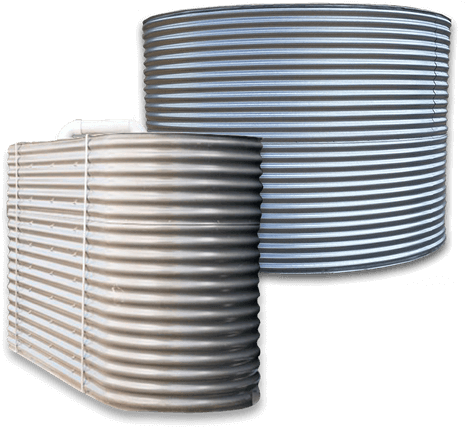 Tanksalot® Corrugated tank sheds look great, are easy to install and can be custom made to fit any space in your garden. water tank is right for your space.